The Hopkinton Town Library caught fire after lightning struck its roof Friday. 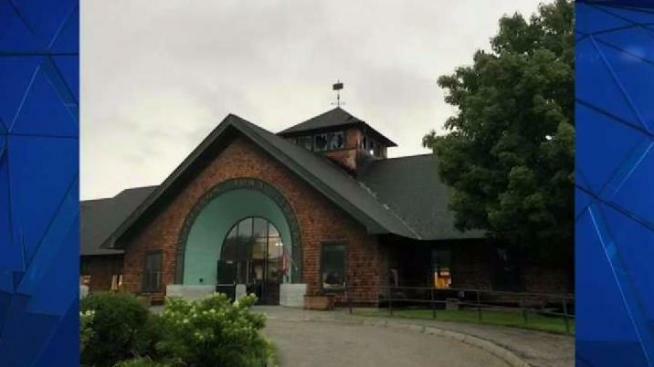 Lightning set fire to a library Friday afternoon in Hopkinton, New Hampshire. Fire officials confirm a blaze was reported at the Hopkinton Town Library around 4:45 p.m. Crews arrived to find light smoke coming from the cupola, a structure on the library's roof. A second alarm was ordered after Hopkinton Fire Chief Jeff Yale assessed the smoke conditions in the cupola and the eaves. It was difficult for firefighters to access the cupola and crawlspaces, but officials say the fire was quickly under control. Officials did not immediately give a damage estimate or say when the library would reopen. Friday's storms left significant damage across New Hampshire.